Sit Shotgun as I take you on a ride. This episode is different from most. Eric shares in an extremely honest and authentic way his thoughts and feelings during a week of being overwhelmed with too much to do. This episode was recorded while driving. 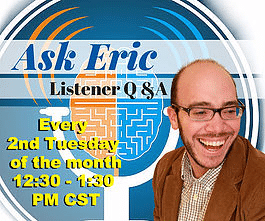 Host Eric Tivers talks with the audience about preparing his upcoming Coaching and Accountability Group, preparing for a presentation he will soon give at a local school, dealing with the stress of a work overload, and much more, all while driving to a speaking event. 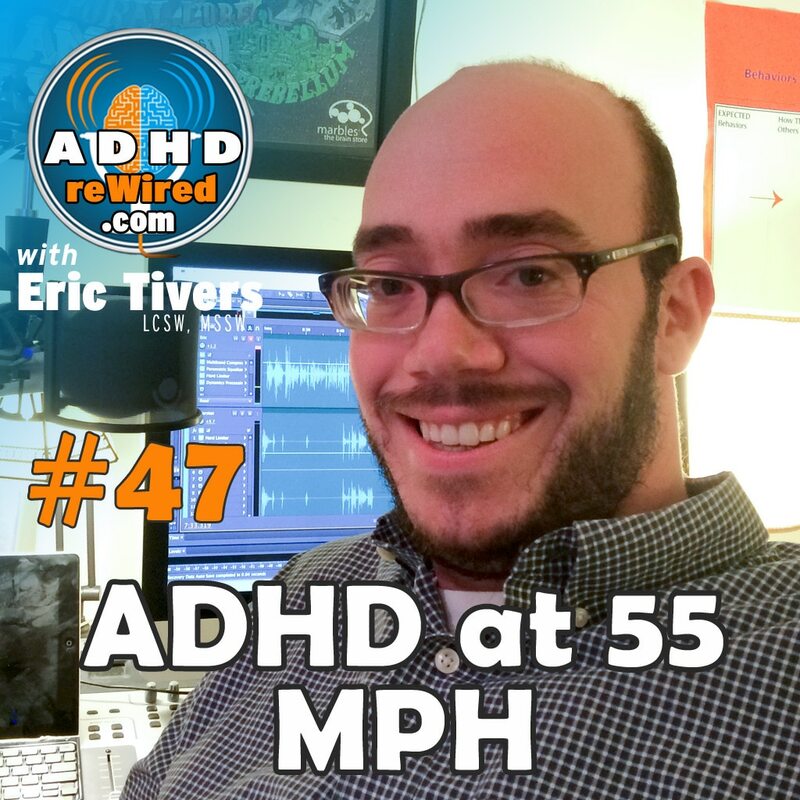 This episode also features a special (read: extra long) introduction and ending by a group of fellow ADHD reWired community members. 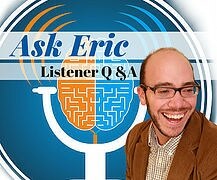 Initially, when Eric came up with the idea of the Accountability Group, it was a spontaneous idea he thought of while doing a podcast. Now, with the new group, Eric is much more prepared and ready, but which he wonders if his preparedness worked against him in some way. During the process, Eric is now trying to integrate ideas refined during the first accountability group. In order to create a group that is a particularly strong fit for the exercises and tasks requested of them, some people have been turned away from the new accountability group. As a rule, Eric must have good sleep before giving a presentation, but with all the work leading up to the upcoming launch of the coaching group, Eric’s been staying up past 1:00 AM consistently over the past few days. A lack of sleep tends to lead Eric to more easily lose his train of thought. Eric still wanted to do this presentation because, aside from being good marketing, it’s also a way to provide a service to his community. Knowing he has trouble talking with people while simultaneously trying to set up for a presentation, Eric will sometimes ask event organizers to help him manage the other guests during his set-up period. When Eric takes on too much work, he goes through periods of time worrying about the workload, but usually ends up creating new methods and strategies for dealing with the stressful situations in the future. As someone who likes to push himself to see what he’s capable of, Eric often goes though periods of overload in terms of work. One of the goals for managing ADHD is increasing consistency. 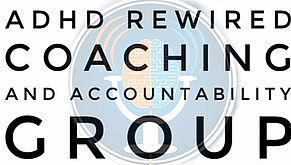 With all of the planning and preparations needed for the accountability group, there was no time to make an episode of the podcast; thus, consistency was not maintained. 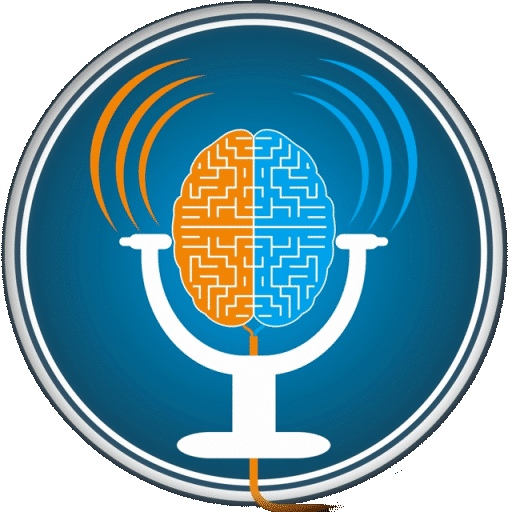 This is the your last chance: If you’re interested in being a part of the next ADHD reWired accountability group, please visit meetme.so/EricTivers.